Falling camera prices trigger a shakeup in auto ID world, with the old 1-D laser bar-code readers giving way to sophisticated image-based scanners. Recent leaps in technology have pushed prices for image-based code readers down in the last 18 months, making them price-competitive with laser scanners and expanding opportunities for data collection throughout the supply chain. Logistics managers can eliminate inefficiencies if they take advantage of these price reductions to upgrade to two-dimensional (2-D) image-based technology from one-dimensional (1-D) data capture devices such as laser bar-code scanners, industry experts say. For instance, mounting cameras instead of lasers to conveyors will enable DC associates to examine the entire package—rather than just the bar code—as shipments flow past an inspection point. The ability to analyze that flood of new information can help ensure customer satisfaction and improve vendor compliance, reduce shipping costs, and minimize chargeback fees from supply chain partners. "Laser scanners are equipped only for one dimension, but camera-based imagers can do much more," said Richa Gupta, a senior analyst for auto ID and data capture with VDC Research, a supply chain analyst firm in Natick, Mass. "They are not restricted to a certain type of symbology; they can take images of the product itself, as well as getting information off the bar code and seeing information imprinted on the package," Gupta said. "There is no limit to the amount of information they can capture. That is the biggest value proposition." The market has taken notice and pushed global sales of camera-based 2-D readers from $312 million in 2013 to an estimated $338 million in 2014 and $475 million in 2018, according to market research from VDC. The predicted 8.9-percent rise in sales of image-based readers between 2014 and 2018 comes in sharp contrast to a forecast 3.1-percent decline for laser scanner sales over the same period, VDC says. Global sales of 1-D bar-code readers—including laser scanners and linear imagers—are projected to slump from $244 million in 2013 to $236 million in 2014 and just $208 million in 2018. To be sure, bar codes aren't going away. Industries in nearly every vertical category rely on the zebra-striped codes to keep up with the ever-increasing pace and complexity of inventory flow through warehouses and fulfillment centers and on to retail stores. In past years, laser scanners were the technology of choice for that application, as they were the only devices with sufficient speed and depth of field to quickly and accurately read bar codes on packages as they whisked past fixed points on fast-moving conveyors. But thanks to recent technology advances in processing power, digital image sensors, and onboard memory storage, image-based readers are finally catching up. "Applications for reading bar codes at long range and [high] speed used to be highly dependent on laser scanning. But in the past 18 months, that dynamic has started to change," Gupta said. "Image-based scanners are now a very viable contender for any and all applications in distribution centers and warehousing." 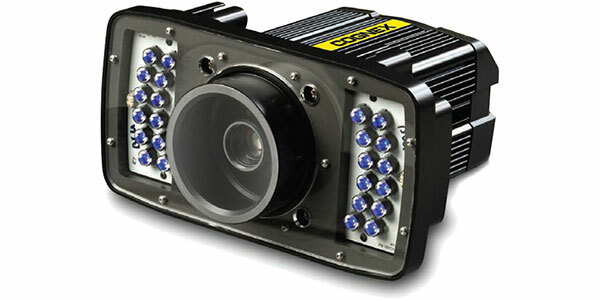 Carter Control Systems in Frederick, Md., is one of those companies that have seen potential in camera-based readers. When the material handling systems integrator won a contract to design a new warehouse for a vitamin retailer, it had to draw up specifications for the conveyor, sortation, and manifest processing systems. Among other things, it needed to find an affordable automatic identification (auto ID) reader that could deliver near-100-percent read rates; handle line speeds of 30 packages per minute; and read codes on boxes, shipping labels, packing labels, and invoices. An image-based reader from Natick, Mass.-based Cognex Corp. fit all the requirements, said Marcus Lepage, Carter Controls' senior software engineer for application development. The integrator installed 18 of the units along the vitamin company's main conveyor line. Speed and accuracy are important, but the greatest value in adopting image-based scanning comes in how you analyze the data. Users are quickly realizing they can do more things with camera-based sensor data than just achieve good read-rates, said Jim Anderson, national product manager for vision and 2-D code readers with Sick AG, the German sensor manufacturer. By using software algorithms to analyze the torrents of data produced by image-based scanners, users can inspect every package on the line to validate its size, position, completeness, and dimensions, Anderson said. Reducing the incidence of mislabeled items by running optical character recognition (OCR) software on the image data to compare the information on a shipping label to the text on a package and make sure they match up. Ensuring vendor compliance by identifying partners that ship high rates of packages with unreadable labels. Image-based sensors create data that can generate statistics showing the reasons for the problem, such as the position of each label relative to the box or the distance from a label to the corner. Avoiding the chargeback fees often levied by carriers on shippers who attempt to tender packages with unreadable labels. Achieving cost savings by using precise dimension data to stay ahead of the new dimensional weight fee structures imposed by carriers like FedEx and UPS. Benefits of image-based code reading will continue to proliferate as computing systems gain processing horsepower. Eventually, they'll be able to intuit the objects they're inspecting without even relying on codes, said Robert Beideman, vice president of retail logistics at Datalogic, an auto ID and industrial automation equipment maker in Telford, Pa.
"What if your code reader could look at a box of Wheaties and it can't see a bar code, but it knows what a box of Wheaties looks like?" Beideman asked. "There is a lot of power in an image," he said. "You can peel back the onion on business analytics, find pinch points in material handling systems, or identify parts of the building causing package damage." Another way to wring extra value from images in a logistics operation is to give each customer a more customized experience, Beideman said. For example, in a dispute over damaged goods, a distribution center equipped with image-based code recognition technology could verify exactly when damage occurred to a specific package or even provide photographic evidence that the package was fine when it was shipped out to the customer. Improvements in vision tools could also allow users to gain business returns through software algorithms that identify problems in warehouse operations, said Matt Engle, director of ID products marketing and logistics at Cognex. By using a camera-based system that can save information about packages as they roll by on a conveyor, customers can aggregate enough data to identify patterns and solutions. "A laser can't save any info on the package as it goes by, but an image-based reader can. So we can automatically generate a classic continuous-improvement Pareto chart," Engle said, referring to a type of graph that illustrates the causes of different events. "Say, yesterday my read rates dropped. Let me go back and look at the data. It could be I need to train the new operator better, or maybe something is wrong with the label printing machine." Whichever vendor they choose, logistics and DC professionals are using image-based technology to meet many needs in the warehouse. They can balance price, size, and speed to pick the best scanner for any given fulfillment center task, whether it's scanning outbound goods at a dock door, high-speed operation on a shoe sorter line, low-speed work on a print and apply line, zone routing with totes, pick and pack, or order fulfillment from storage. Regardless of its place in the distribution center, a visual code reader can deliver savings and process improvements to help busy supply chain operations keep up with the speed of modern business.